Jewish Youth for Community Action (JYCA) is an innovative leadership training and activist organization dedicated to empowering Jewish youth and contributing to social justice. JYCA forms a tight knit community in which every individual is respected and valued and enthusiastic participation is the norm. JYCA is an independent program for youth from many synagogues and youth who are not affiliated with a synagogue. Kehilla is proud to serve as JYCA’s fiscal sponsor. 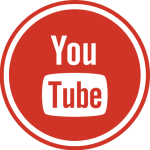 In addition, Kehilla supports JYCA by providing funding to JYCA for every Kehilla member who participates, thereby reducing JYCA tuition for parents. Teens in the Midrasha community describe it as ‘the one place during the week where I can just slow down for a minute and really get to be myself’. Midrasha is designed to help Jewish teens to connect deeply to a peer community, to find adults in their lives who really support them, and to understand more about who they are: what they believe, what they value, and how they treat themselves and others. Through classes, social programs, retreats, leadership opportunities, tzedaka and tikkun olam programs, and more, our teens find a true sense of personal Jewish understanding, a community of friends that will last a lifetime, and a safe space in the midst of their crazy schedule. 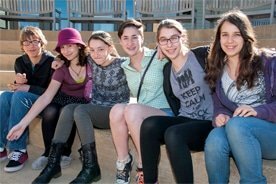 Midrasha is a program of the East Bay’s Jewish community for 8th-12th graders. 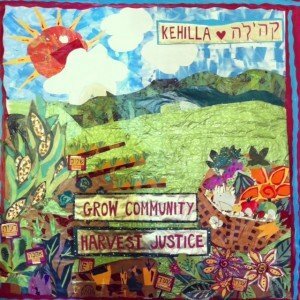 Kehilla is a sponsor of Midrasha which means that Kehilla’s leadership thinks it’s such a valuable program for teens that they have agreed to pay part of the tuition for any Kehilla teen who would like to attend. Midrasha is a community-based, pluralistic program, with multiple campuses. They meet on Sundays from 3:30-6:00pm at Netivot Shalom for classes and programming (Ikar), and Wednesday nights from 6:00-7:30pm at Beth Israel for Beit Midrash. Berkeley-Oakland Midrasha is sponsored by a number of synagogues: Congregation Beth Israel, Congregation Netivot Shalom, Congregation Sha’ar Zahav, Kehilla Community Synagogue, Temple Beth Abraham, Temple Beth Sholom, Temple Israel, Congregation B’nai Shalom, Aquarian Minyan, Temple Beth Hillel, Congregation B’nai Israel, and the Jewish Federation of the East Bay. Midrasha also serves teens not affiliated with a Jewish organization or congregation. For more information about Berkeley-Oakland Midrasha, visit http://www.midrasha.org/. If you know a teen who might be interested in checking out out Berkeley-Oakland Midrasha, please contact us to arrange for a visit or to ask for registration information. Teens are welcome to join Midrasha mid-year, it’s not too late! Please register at http://www.midrasha.org/registration-2017-2018 or contact them at http://www.midrasha.org/contact.